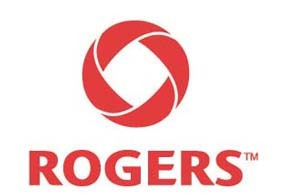 Rogers APN Settings – Configuration for Android, Blackberry and iPhone. In this article we show you how to setup the Rogers APN settings in an easy, quick and step by step guide. These settings are valid for all smartphones, whether you have an Android, iPhone, Windows Phone or Blackberry. They also work for the iPad, Galaxy Tabs, etc. After configuring the above Rogers APN Settings you should be able to browse the internet and send multimedia messages (pictures). What are the Rogers Apn Settings for? APN Stands for Access Point Names, they serve as the routing guide for your phone to find the proper servers on your mobile network operator’s side. These Rogers APN Settings usually come pre-loaded in your phone by the moment you purchased it from Rogers. You might need to manually add the Rogers APN settings if your phone comes from a different operator or you brought it from Abroad, just make sure it is fully Unlocked.